Your intrepid correspondent met on Friday at the William Hall Free Library, in the Edgewood neighborhood of Cranston, with Clayton Fulkerson to view his models of ancient temples, now on exhibit there through the rest of this month. 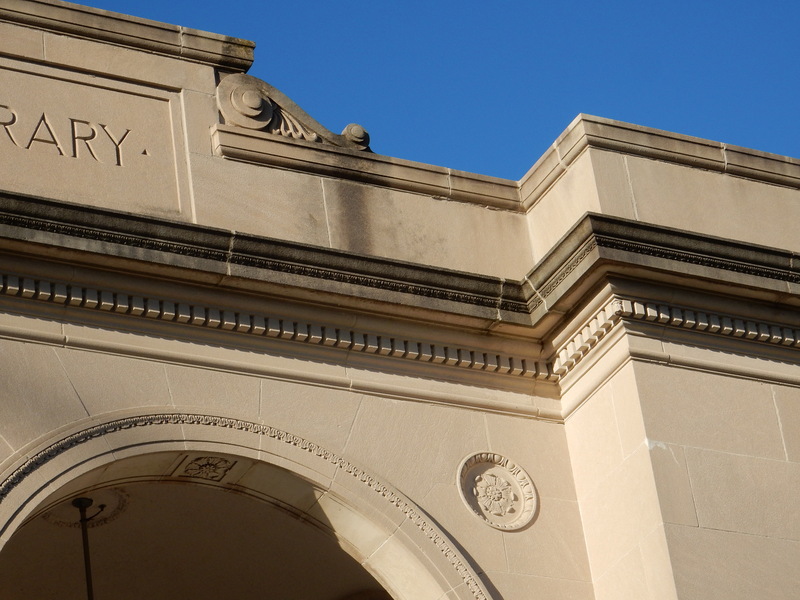 The library, built in 1927, is also very much worth seeing. Clay and I were shown around by head librarian Adrienne Gallo. 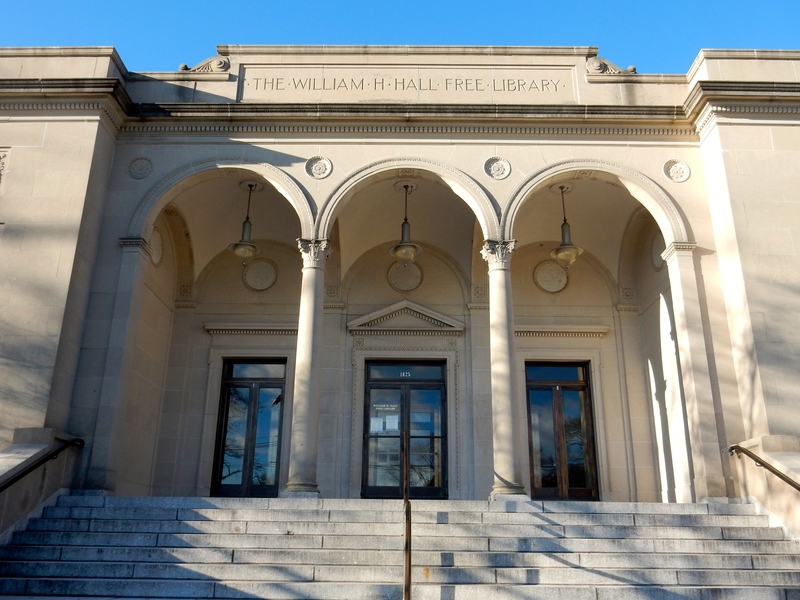 Adrienne said she knew of no family connection between William Henry Hall, the business magnate who donated the land he lived on for a new library, and its architect, George Frederick Hall. 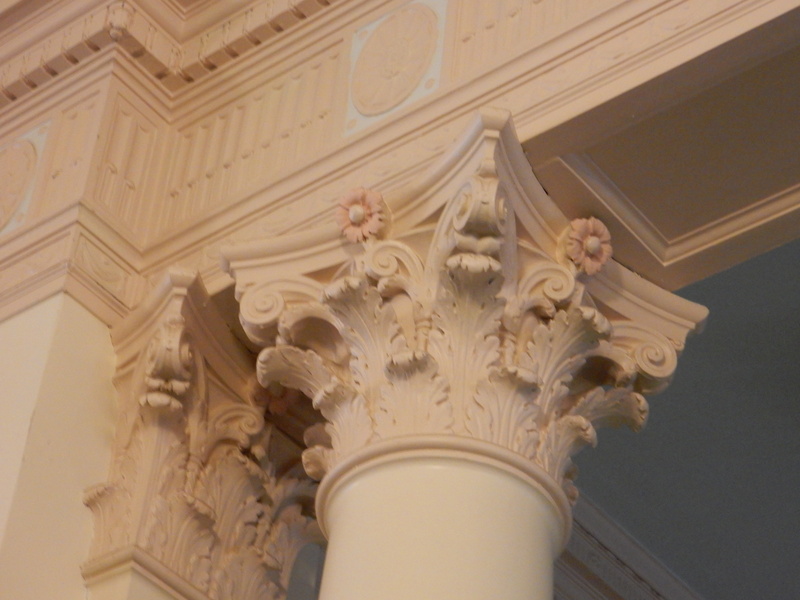 With Frank H. Martin in Martin & Hall, his firm designed 30 buildings in Providence alone. These included the boathouse and the museum at Roger Williams Park and, in downtown, the Smith Building (1912), where I lived in 1999-2010. 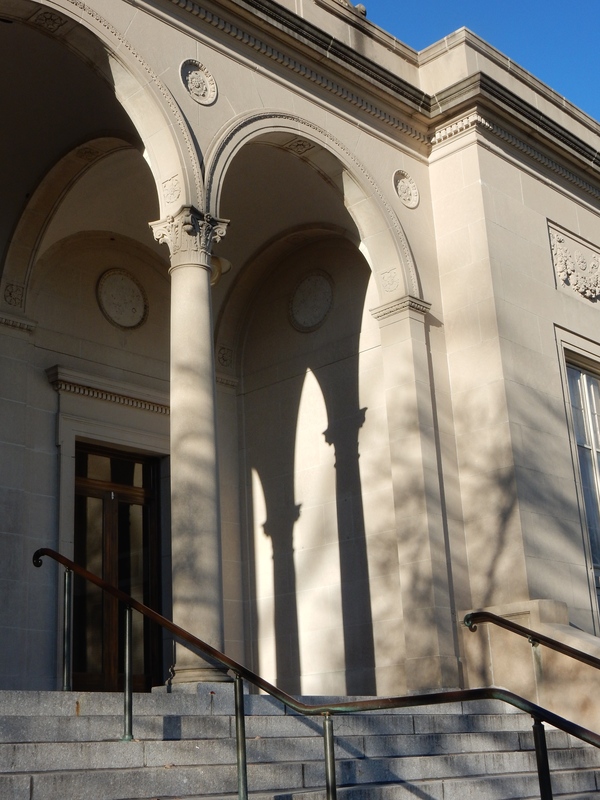 At the time he designed the library in Cranston, Hall was also the supervising architect for the Industrial Trust (“Superman”) Bank Building. 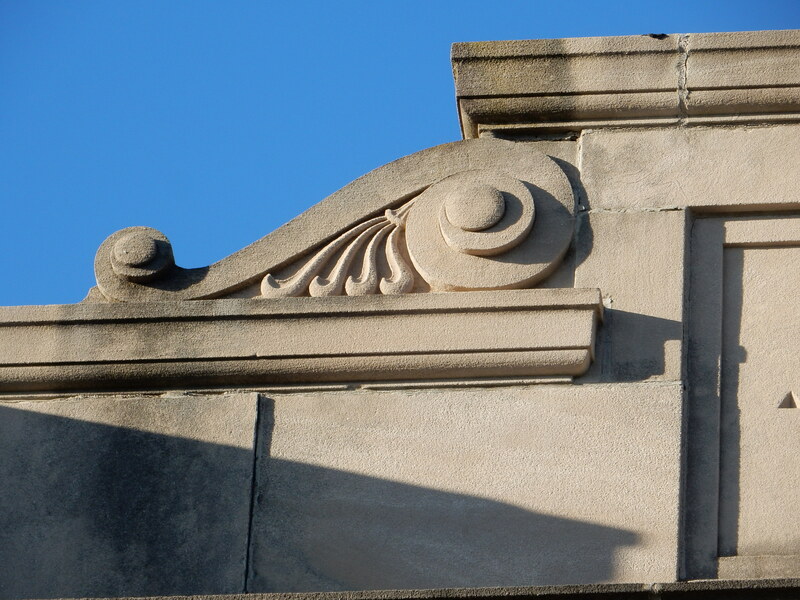 He designed the 1903 portion of the Shepard Building and both the Kennedy Plaza and Weybosset Street comfort stations. He designed his own house at 49 Orchard Ave. Martin died in 1917, Hall in 1928. 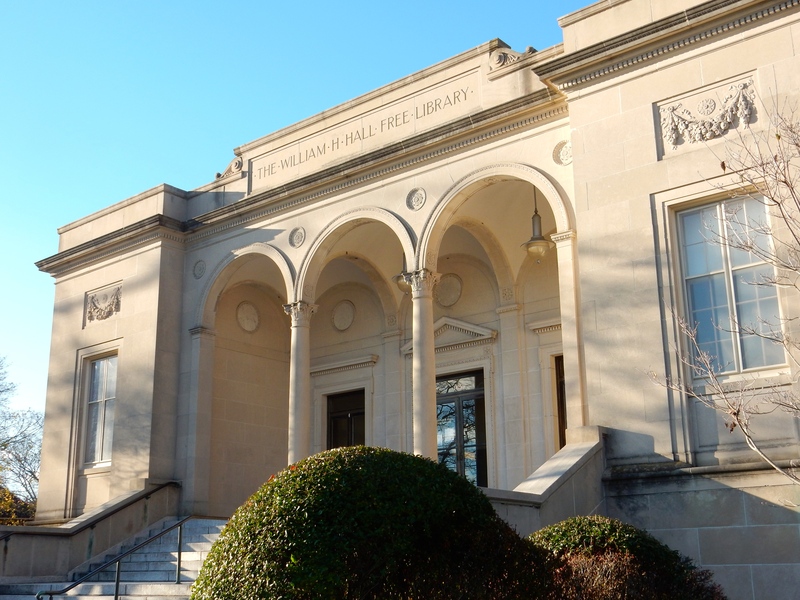 If one is not prone to use superlatives, an attempt to describe the new William H. Hall Free Library presents a difficult task, for it is a building of rare beauty, approached on every side by wide terraced lawns and girded by rows of elm and pine trees. The limestone edifice on a base of granite sits gently upon its landscape. 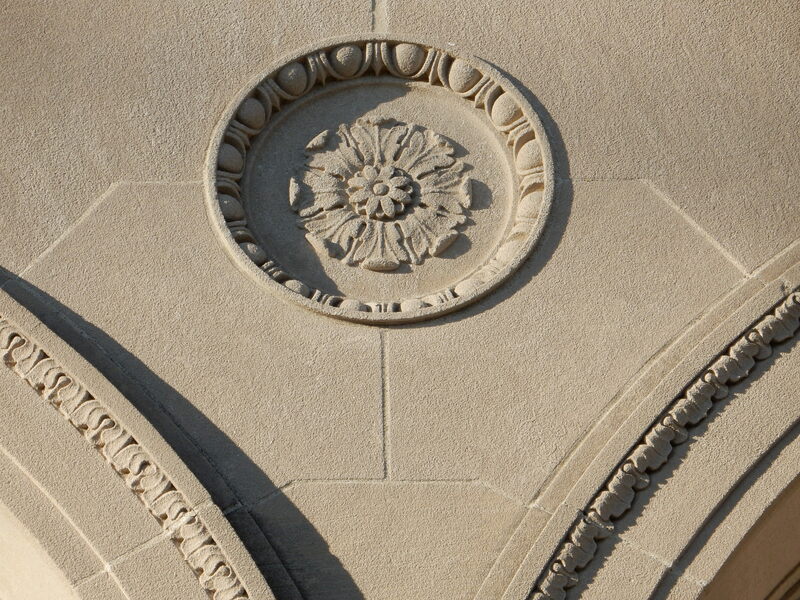 Its delicate ornament displays the talent of architect Hall in using the classical tool box to articulate by way of shadow the sun’s course of travel hour by hour along the raiment of its embellishment. 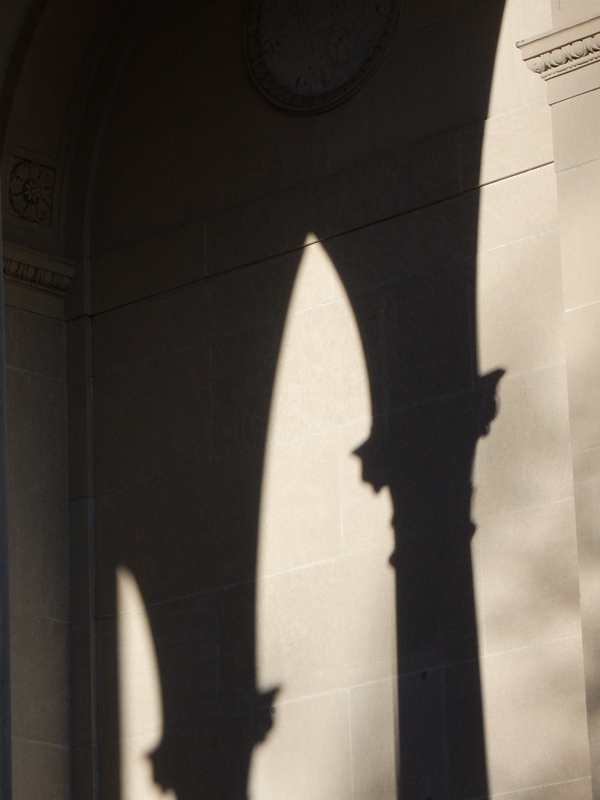 The slender grace of the library’s Renaissance Revival entry portico, with its three arches, lightens considerably the architecture of the structure as a whole. The original bronze doors remain intact. They are light and heavy at the same time. Heaving them open to enter leaves a powerful impression of quality that reminded me of the doors of the Rhode Island Convention Center; but the library only cost $275,000 ($3.7 million in today’s dollars). 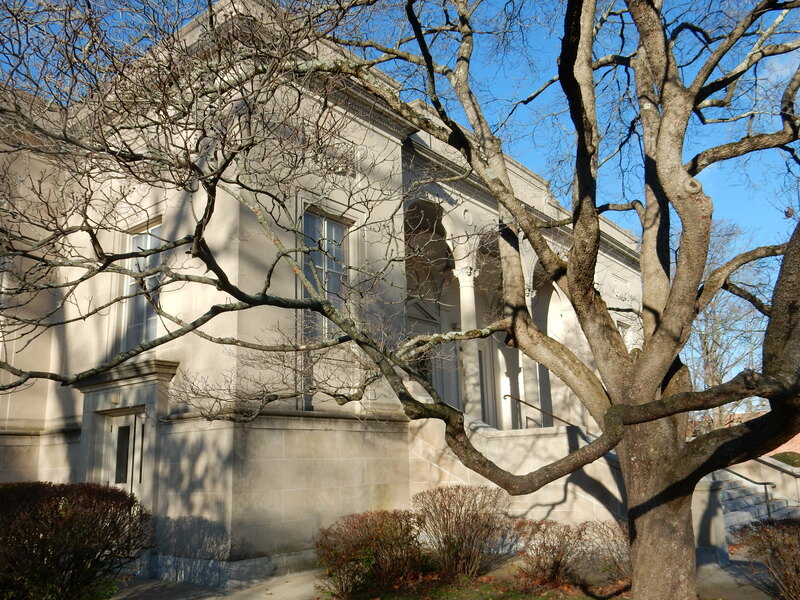 The Edgewood Free Library, founded in 1897, occupied sites in a schoolhouse at Park and Warwick avenues and on Norwood Avenue, where the Edgewood fire station was erected in 1928 after the relocation of the library to the new Hall Library on Broad Street, a few blocks south of the offices of my excellent doctor, the family practitioner Jeanne Swen. 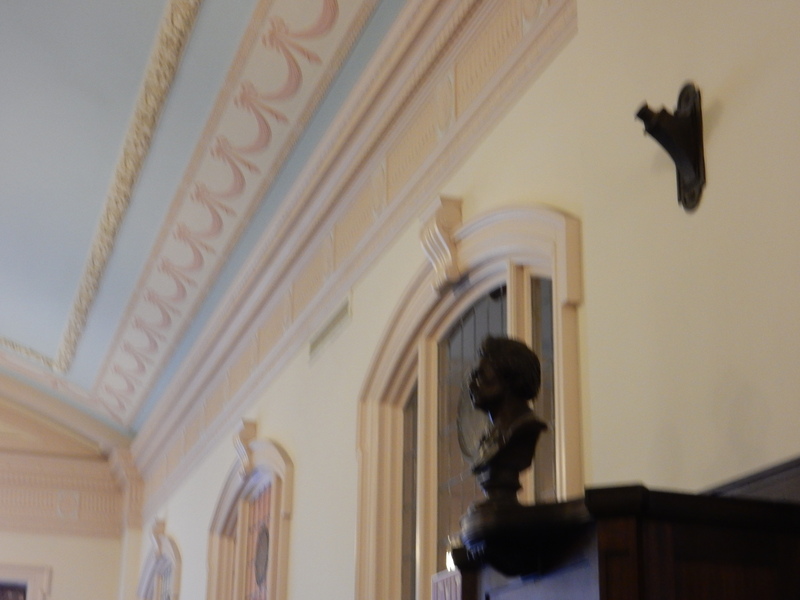 Adrienne’s tour revealed the care taken by architect Hall to bring a degree of elegance even into the most understated parts of the building, whether it be the auditorium or the men’s comfort station in the basement. 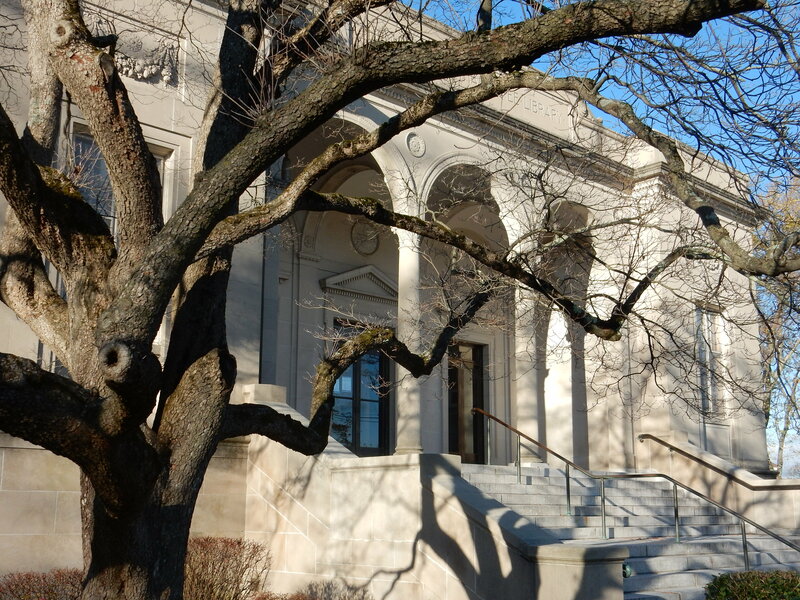 She described the building’s restoration and renovation by the firm of Robinson Green Beretta in 1989, performed to stanch a period of decline following the construction of a new central library for Cranston in 1982, after which the Hall had reverted to a branch library. 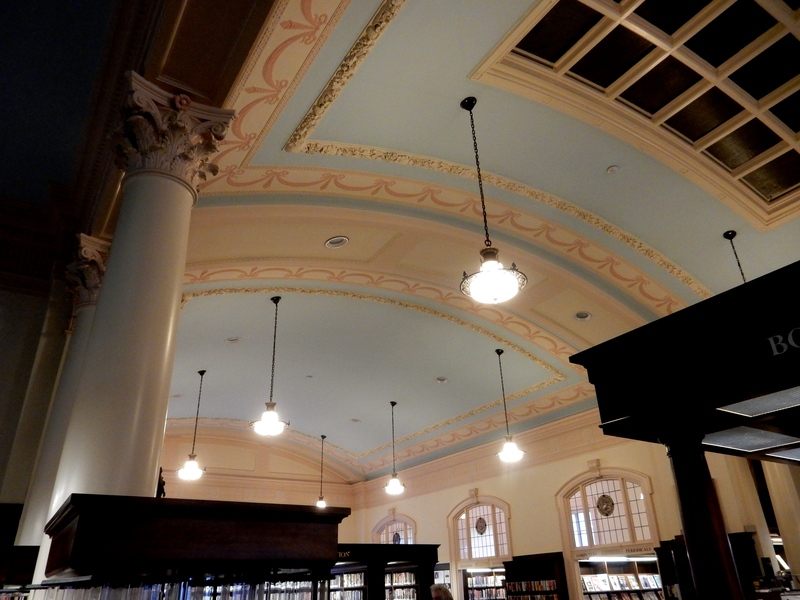 (Don’t even ask what the central library, on Sockanosset Cross Road, looks like!) 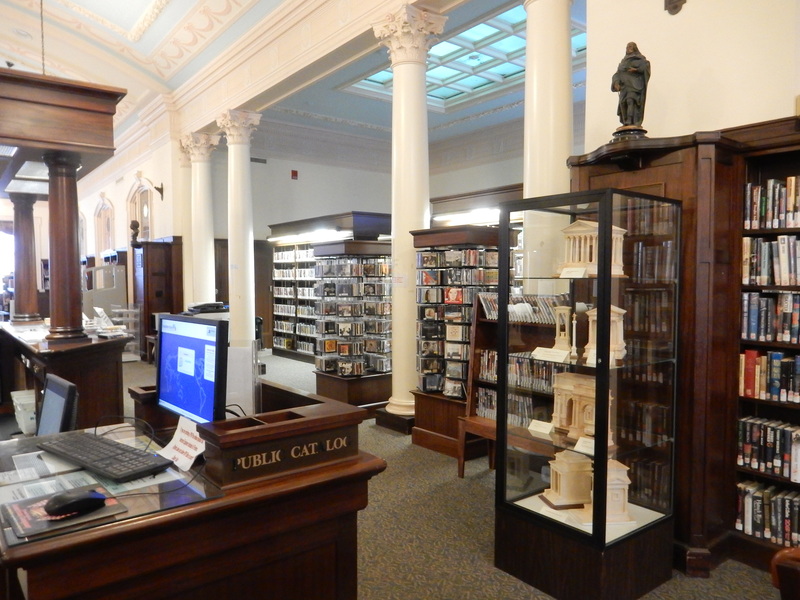 The job – which installed a host of needed utilitarian improvements, plus mahogany shelving around the perimeter of the main reading room and a beautiful circulation desk at its center – reinvigorated the Hall’s mission to carry out its benefactor’s wishes. The last photograph shows the display case that contains Clay Fulkerson’s models of ancient temples and arches, on display for the rest of this month. This entry was posted in Architects, Architecture, Architecture History, Art and design, Landscape Architecture, Photography, Preservation, Rhode Island, Urbanism and planning and tagged Adrienne Gallo, Clayton Fulkerson, Cranston RI, George Frederick Hall, Martin & Hall, Robinson Green Beretta, William H. Hall Free Library. Bookmark the permalink. Today’s post on the Facebook Group TradArch was on Detroit architect Albert Kahn. 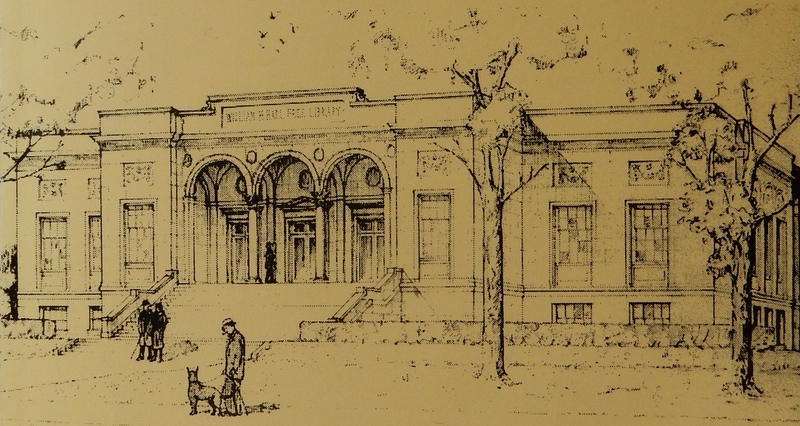 Kahn’s William Clements library which was illustrated is a dead ringer for The William Hall Free Library. 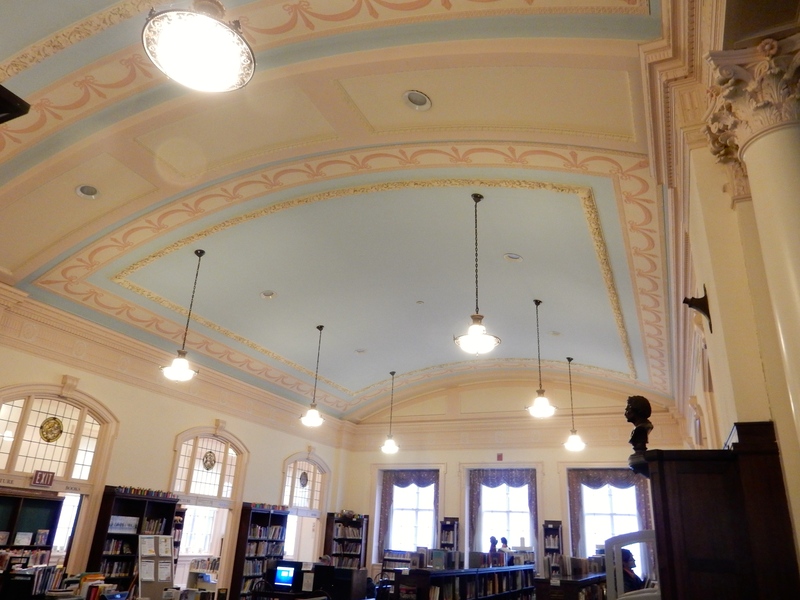 It clearly has to have been a precedent, https://en.wikipedia.org/wiki/William_L._Clements_Library. I’d love to know the connection between William Hall Architect George Frederick Hall and Albert Kahn, or Hall merely saw images in Pencil Points. Wow, Eric, that is a pretty extraordinary similarity. I wonder if it could in fact be coincidental. I wonder whether this sort of fundamental classical design might be the kind imprinted on the mind of a learned architect. Maybe both were channeling the same internal meme. But I think the element that most powerfully denies that possibility of a coincidentally near-identical design is the roof parapet. Or maybe not. Anyhow, more likely Albert Kahn saw the drawing somewhere, maybe in Pencil Points. 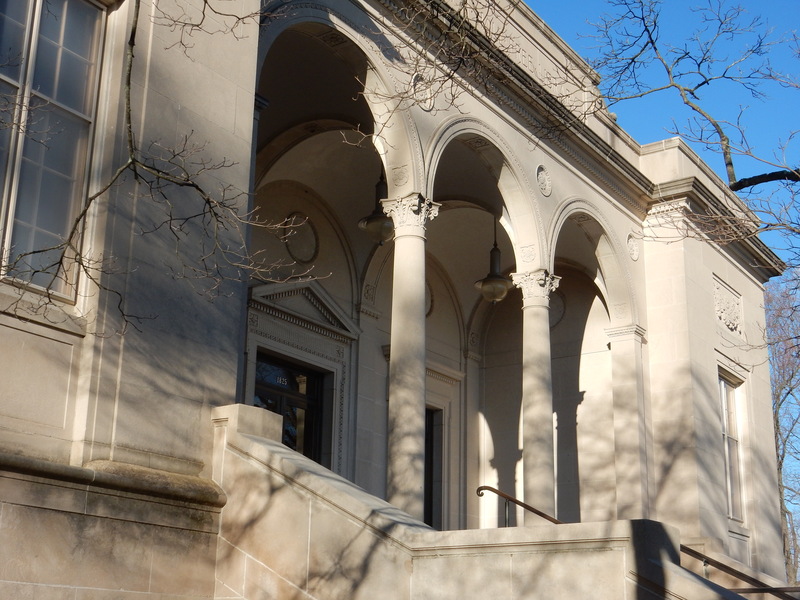 I wish I could help out with any links between the Cranston library architect Hall and Kahn (who also designed the Providence Journal Building on Fountain Street). Hall the architect and Hall the namesake of the building were apparently unrelated. Thanks so much for sending this, Eric. It might make a good topic for a blog post. 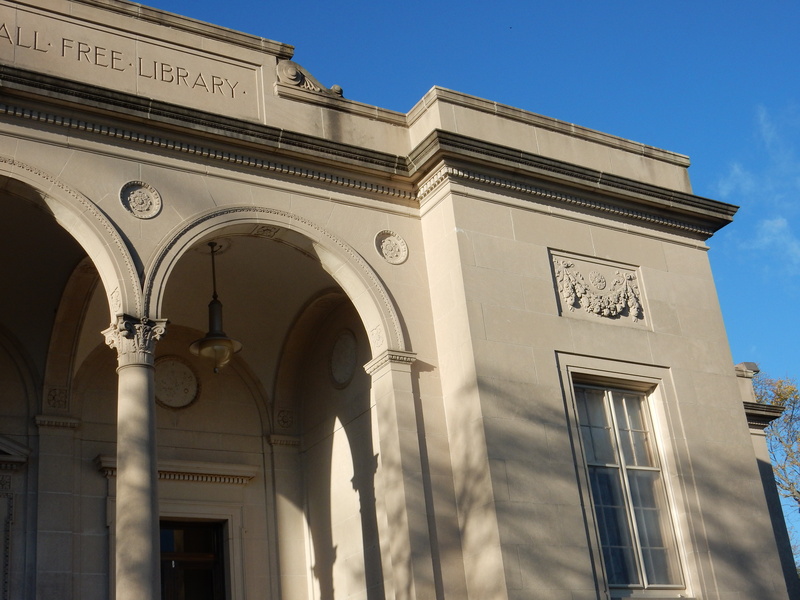 This was my neighborhood library while growing up in Edgewood. I spent many days here as a kid. Before the Robinson Green Baretta renovation, the lighting was dimmer, the colors more muted, the floor a murky sheen of polished brown linoleum. It was a a hushed and serious space in which the sound of a chair pushed back from a table or a dropped book would reverberate to be followed by a whispered “Ssshhhh….” from the librarians in cardigans and woolen skirts with their half glasses suspended on delicate chains around their necks. I loved that space, with the delicate vaulted ceiling and the dark shelves crowded with possibilities: all the books yet unread. 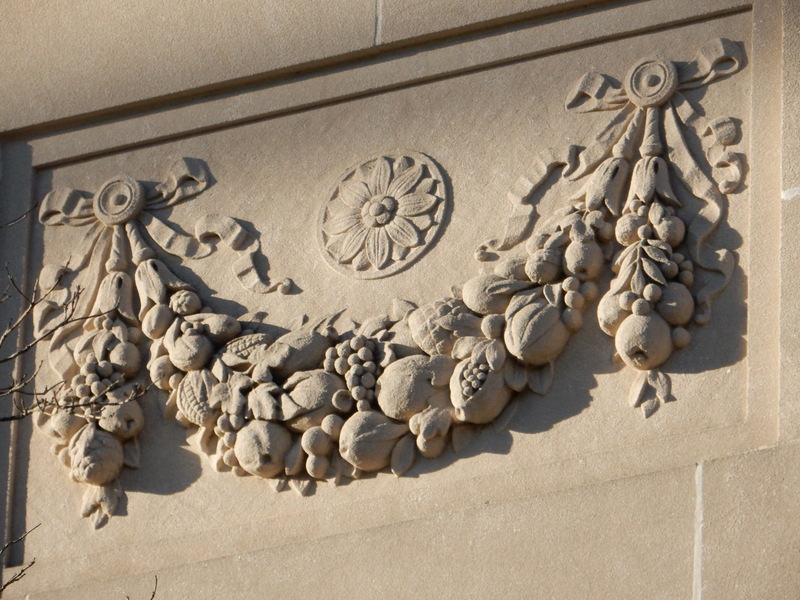 I loved the climb up the multiple flights of granite steps to the sanctuary on it’s little knoll and the softening of the facade into warm sculptural limestone details. 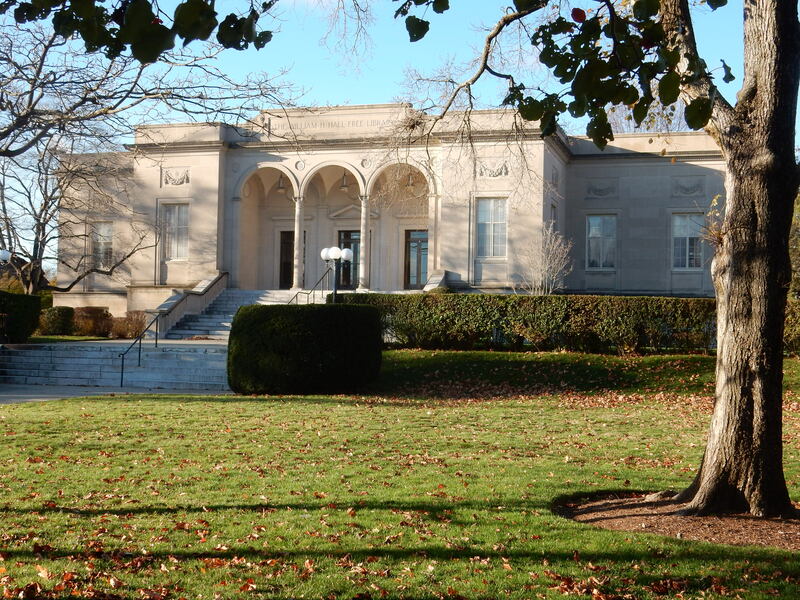 For what seemed to be otherwise, an undistinguished if pleasant neighborhood, William Hall was jewel of civic virtue. I miss it still and have yet to find its equal in design in the places I have lived. I think I noted in my post on Clayton Fulkerson’s model temples that I’d driven by days before and beheld it with astonishment even though I must have seen it before. But maybe I just blitzed by it unawares because of its setback from the street!